Sam Rany: High school sweet hearts: Will it last until marriage? High school sweet hearts: Will it last until marriage? Tun Meta and Kong Naikeang got married five years after meeting one another in high school. Their love grew for one another swiftly after they first met, and they decided to continue their Bachelor’s degrees together. After graduating in 2009, they married – an exception to recent trends that show few couples make it to marriage after they transition from studying. Samchan Sovandara, a psychology lecturer at Royal University of Phnom Penh, said that young couples face three main challenges. The first is money. Unlike the past, young couples need to save up themselves if they want to get married; they can’t rely on their families. Another obstacle is the young psyche. Many young couples discover that their feelings of love are fleeting, and get bored quickly – which leads to break up or divorce. Finally, Professor Sovandara said, young couples’ parents don’t have the same modern mindset – therefore, it’s hard for them to agree to a wedding. So how many young couple do end up staying together once school ends? Samphoas, who did not want her real name revealed, said that her lover from high school broke her heart once they graduated. After six years of relationship bliss, her boyfriend broke up with her and is now married. “Don’t have a relationship while studying, because it’s too hard facing all the problems coming from school, families, and the relationship itself,” Somphoas said. Chan Krim, 55, a land broker, said that she’s witnessed young heartbreak – and it’s not pretty. But Professor Sovandara thinks that 50 per cent of young lovers have a chance at a successful relationship once school ends. He attributes this success rate to the individuals, instead of outside factors. Meta said that the love he has for his wife is the most important part of life. “When we love each other, we can share our feelings – sadness or happiness – and a feeling that we can help one another through,” he said. 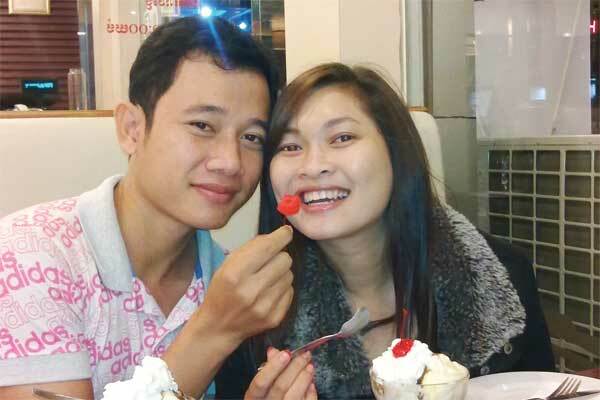 For this week’s Constructive Cambodian, Professor Sovandara weighs in to advise that having a relationship while studying can work out successfully. He says that for success, the couple needs to focus on prioritising: they need to figure out together how to sustain their relationship, and maintain a healthy balance between work, life and love.